The System 1400 utilizes sophisticated mid-woofers and Atlantic's exclusive Low Resonance Tweeter to produce exciting, articulate, realistic sound, very much in the tradition of our award-winning $10,000 System 8200e. The 1400 SR-z surround speakers are not only great compact surrounds, they're also the first speakers developed by anyone to be used with the new Dolby PL-IIz Height algorithm. 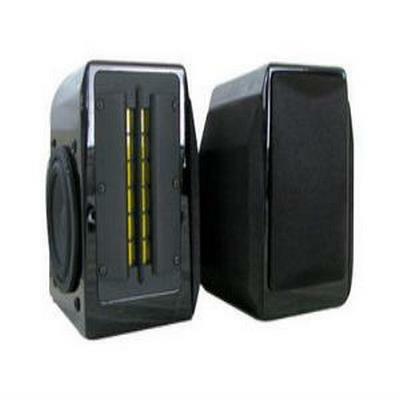 Their small size and shallow mounting depth makes them the perfect speakers to mount in height applications. 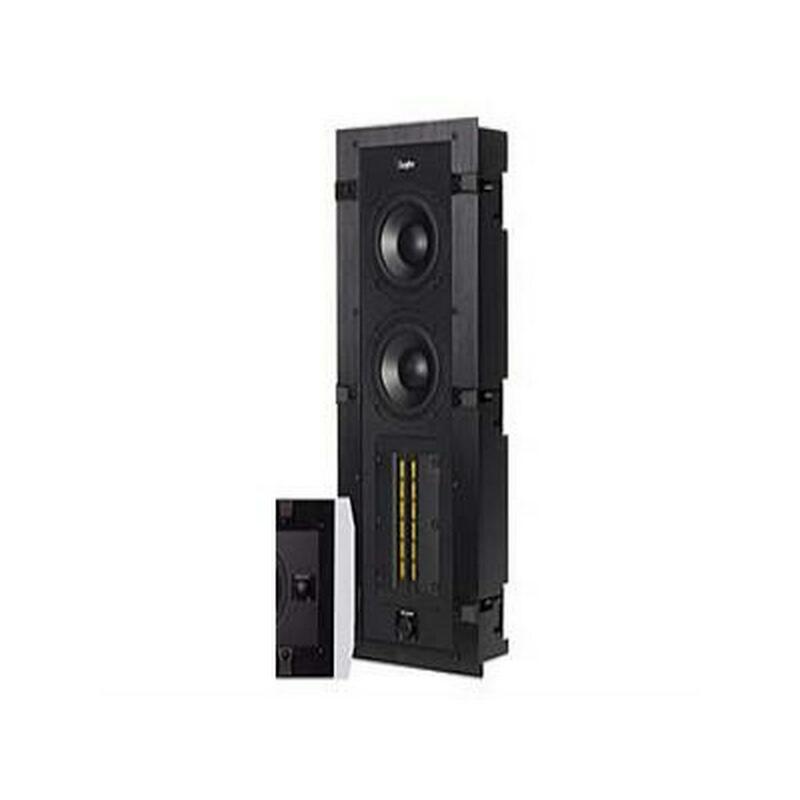 All the components of the System 1400 deliver sound that's totally unexpected for this size product, with unprecedented mounting and placement flexibility. 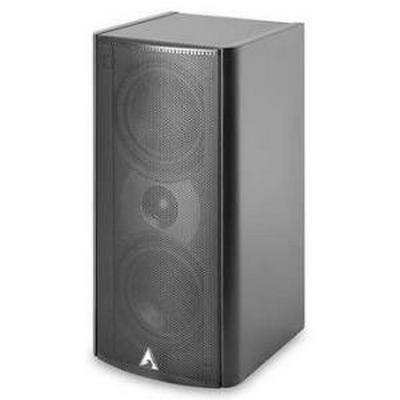 Atlantic Technology created the 2400 Front Channel Speakersspecifically to deliver big sound, without big speakers. 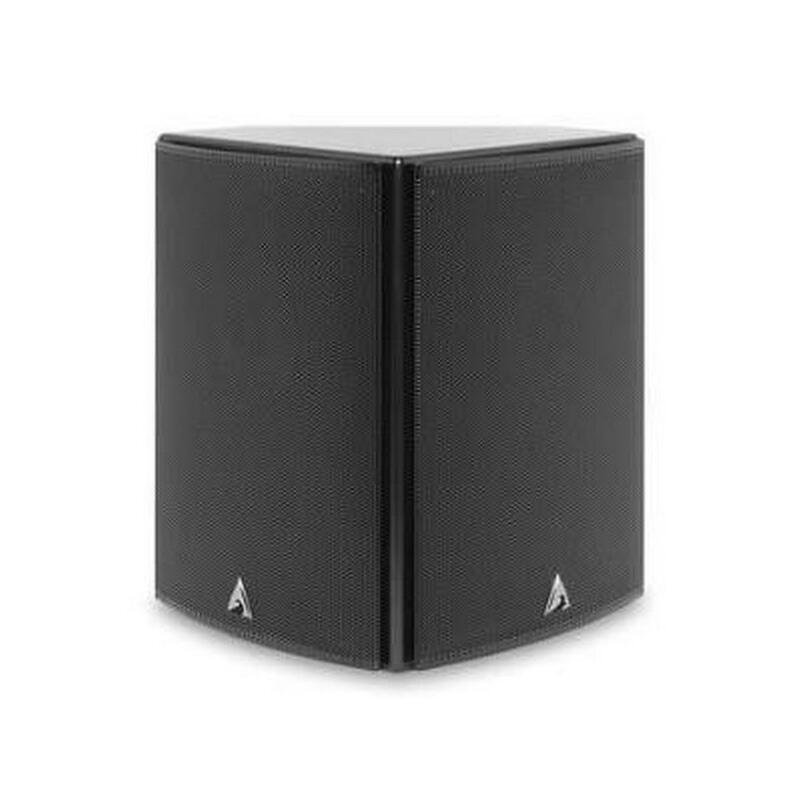 Atlantic 2400LR speakers are ideal for a small to medium sized room that needs superior sound, without taking up a ton of space. 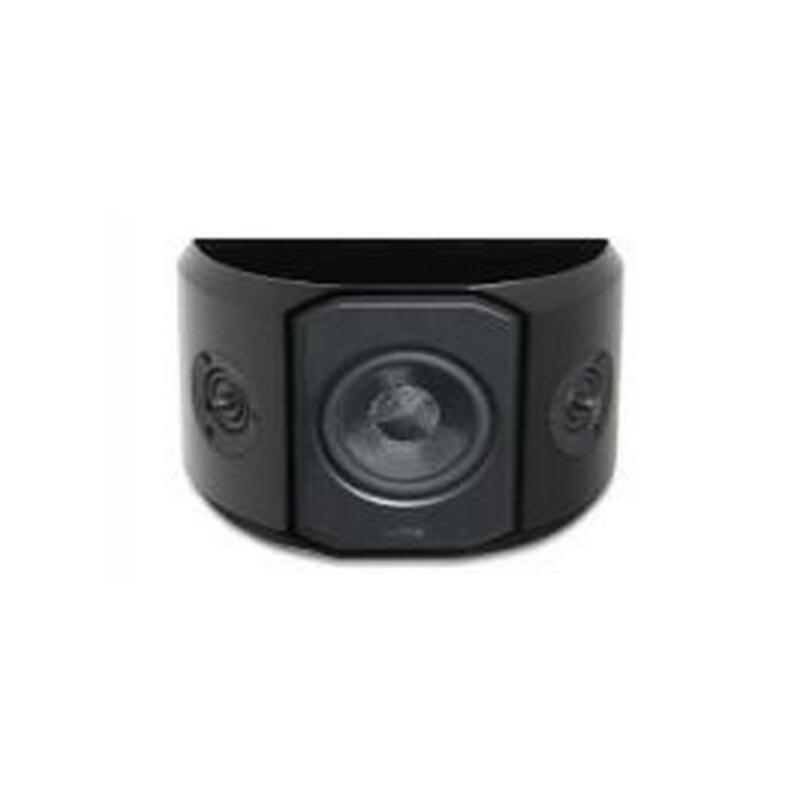 Each speaker contains two advanced GLH (Graphite Loaded Homopolymer) 4.5 in. 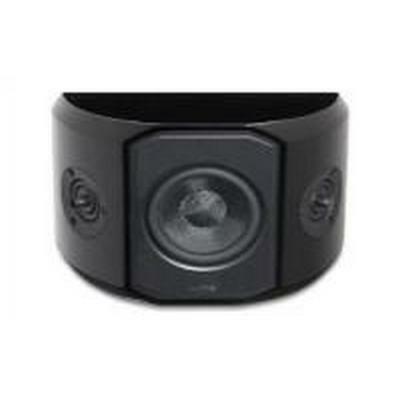 (115mm) woofers and Atlantic's exclusive 1 in. (25mm) Low Resonance Tweeter™--to deliver ultra-wide mid-range dispersion for uniform coverage of the entire listening area. he System 1400 utilizes sophisticated mid-woofers and Atlantic's exclusive Low Resonance Tweeter™ to produce exciting, articulate, realistic sound, very much in the tradition of our award-winning $10,000 System 8200e. The 1400 SR-z surround speakers are not only great surrounds, they're also the first speakers developed by anyone to be used with the new Dolby PL-IIz Height algorithm. 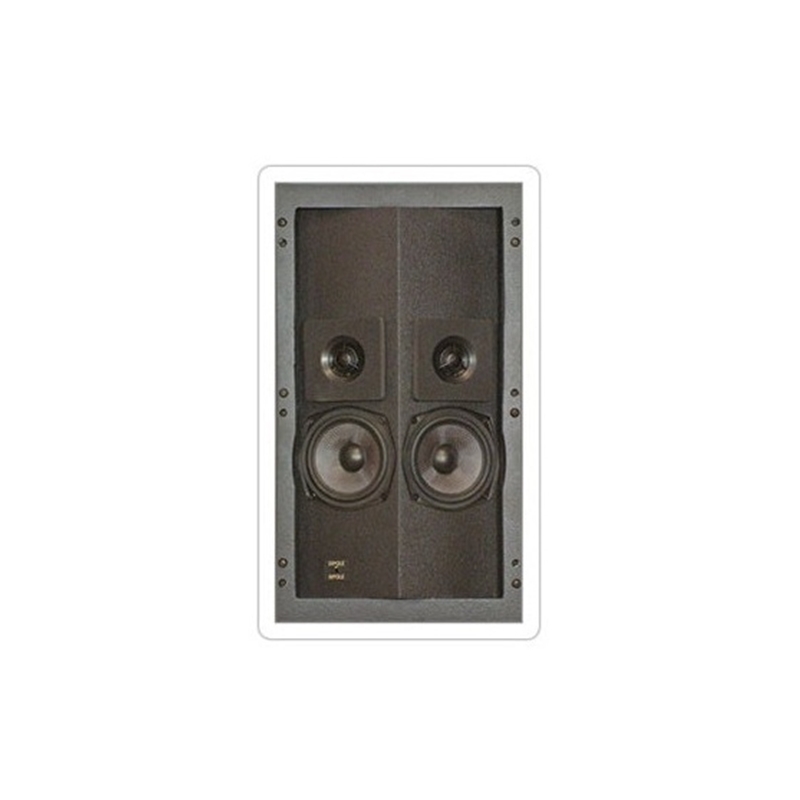 Their small size and shallow mounting depth makes them the perfect speakers to mount in height applications. 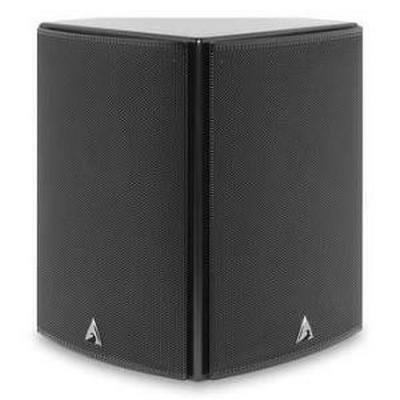 The Atlantic Technology System 4400 represents the culmination of our efforts to develop the world’s finest moderately-priced home theater speaker system. The System 4400 builds on much of the exhaustive research and technology incorporated in our groundbreaking, state-of-the-art systems, the highly acclaimed System 8200e and System 6200e. 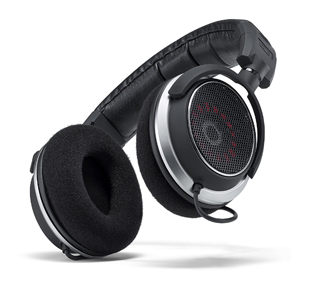 As a result, the 4400 delivers superb sound with all movie and music formats. Getting a home theater system to sound "just right" is no easy task. As voices or effects move across the room, the handoff from speaker to speaker should not be perceived as a series of singular events, but instead, as a continuous smooth transition. In developing System 4400, we have taken extraordinary care in this process. 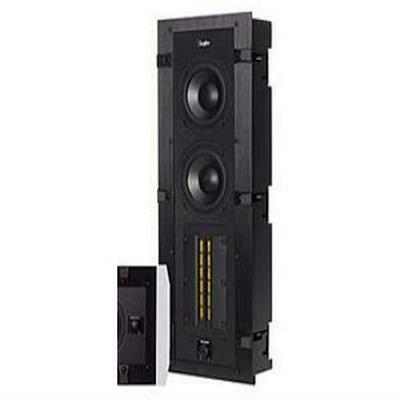 The key to the 4400’s outstanding performance is that all of the system’s individual loudspeakers have been optimized specifically for their intended use. Although customizing the speakers is more costly for us—it requires three very different acoustic designs, expensive tooling, and task-specific cabinets—the sonic payoff is tremendous. 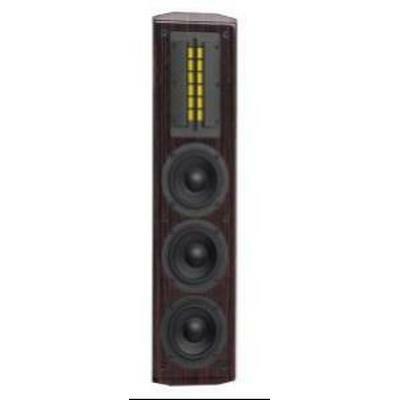 We sincerely believe that within its price range—or even well above—it is one of the finest speaker systems available. Once you see and hear it for yourself, we are confident you will agree. Atlantic Technology 4400SR -- You're Surrounded! The Model 4200SR Dipole/Bipole Surround Speakers are purpose built for use in multi-channel audio/video sound systems as dedicated side or back surround channel speakers. The 4200SR enclosure has two 4.5" GLH woofers and two identical high performance silk dome tweeters as found in the 4200LR front speakers. To further showcase the 4200SR’s flexibility, the 4200SR can be easily switched between Dipole and Bipole operation. 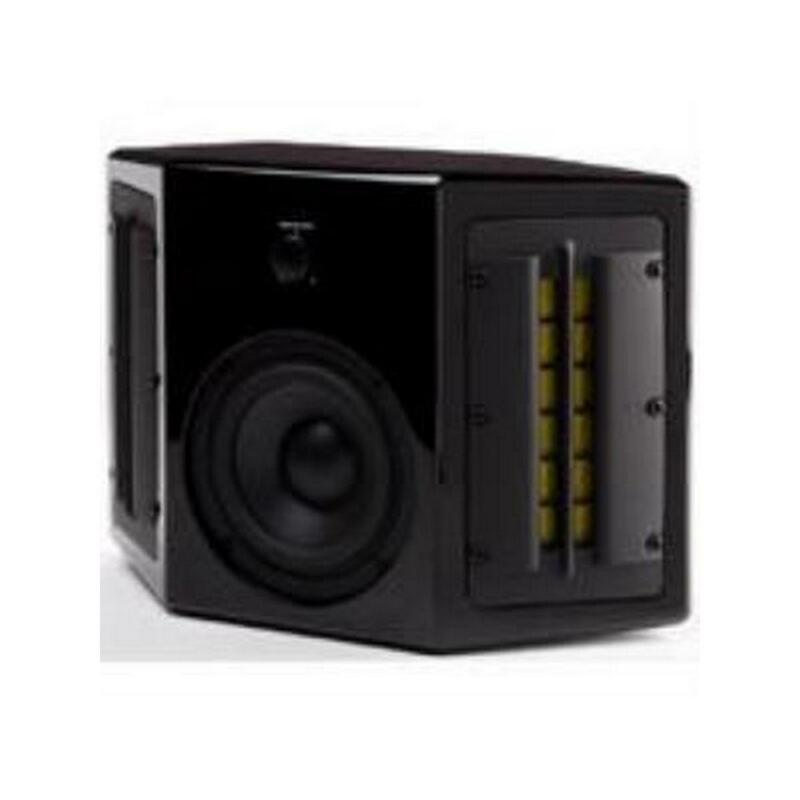 The surround speakers (as opposed to the back speaker(s) in a 5.1, 6.1 or 7.1 channel system, are primarily intended to re-create the ambient sounds taking place in the movie scene. Therefore, throughout most of a movie or TV program you may not be consciously aware of output from these speakers. In other words, don’t worry if you aren’t hearing the surround speakers. 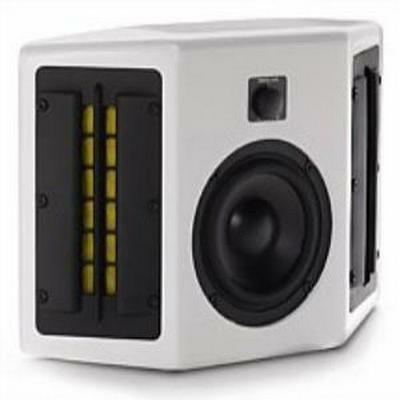 The 4200SR’s come specially marked LEFT and RIGHT, so be sure the Left side surround speaker is placed directly to the left of the prime listening area (facing the screen) and the Right speaker is directly to the right side. The goal of the surround speakers is to replicate the sound of the large array of surround speakers found in the best commercial movie theaters, without using 20 or 30 speakers like in the movie theater! The best way to do this is with a pair of dipole speakers, where speaker’s two pairs of drivers operate out of phase with each other. Set for "Dipole," the 4400SR’s create a diffuse soundfield that is virtually impossible to pinpoint by ear. The 4400SR sounds like a large array of speakers, enveloping the listening room in startlingly realistic three dimensional sound effects. You are simply "there," in the scene, without the artificial directional effects from an ordinary surround speaker that would spoil the otherwise perfect sonic illusion. However, for multi-channel music, especially pop or rock, you might prefer to have more precise localization in the surround channels. In that case, the "Bipole" setting (where all four drivers operate in phase) is best. Set that way, the 4400SR delivers a more precisely localizable sound pattern that can be very dramatic with high-impact popular music. THX is a series of standards and technologies originally developed by Lucas Film Ltd. (of Star Wars fame) and now an entity unto itself. These technologies and standards are intended to ensure that what you hear and see on your A/V system, as closely as possible, matches what the director/artist/engineer heard and saw during the final mixing of the source material. THX standards are intended to enhance every type of viewing and listening experience including the latest discrete multi-channel digital formats. At the movies or a live concert, everyone wants the best seat in the house. It’s the same way in your living room— you want the best possible sound, no matter where the speakers are placed and regardless of the room’s acoustics. All three front channels of the 4400 address this problem. 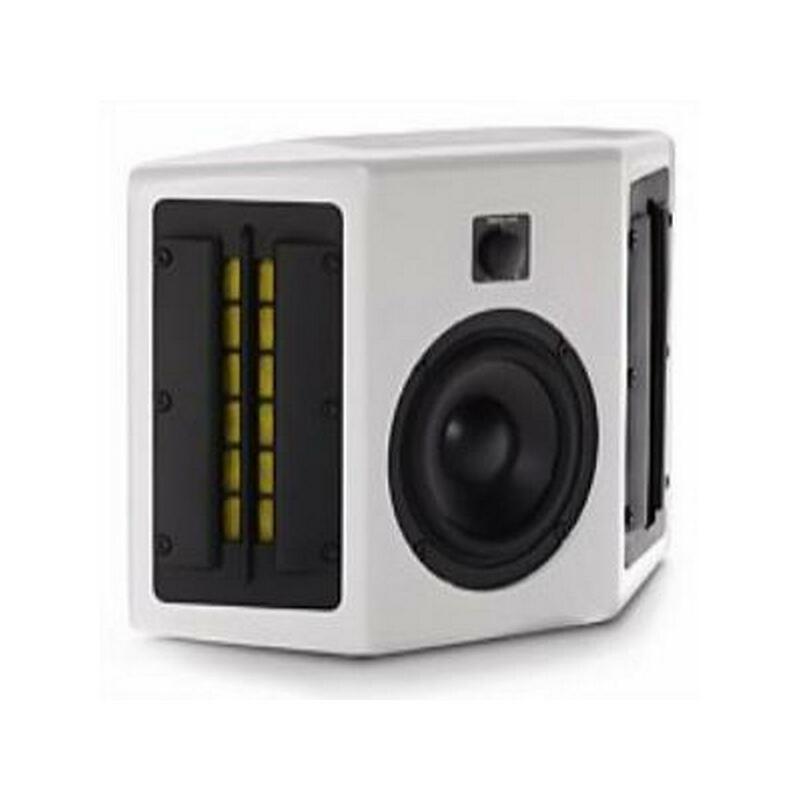 Each speaker comes with two controls that help customize the speaker to your individual room. 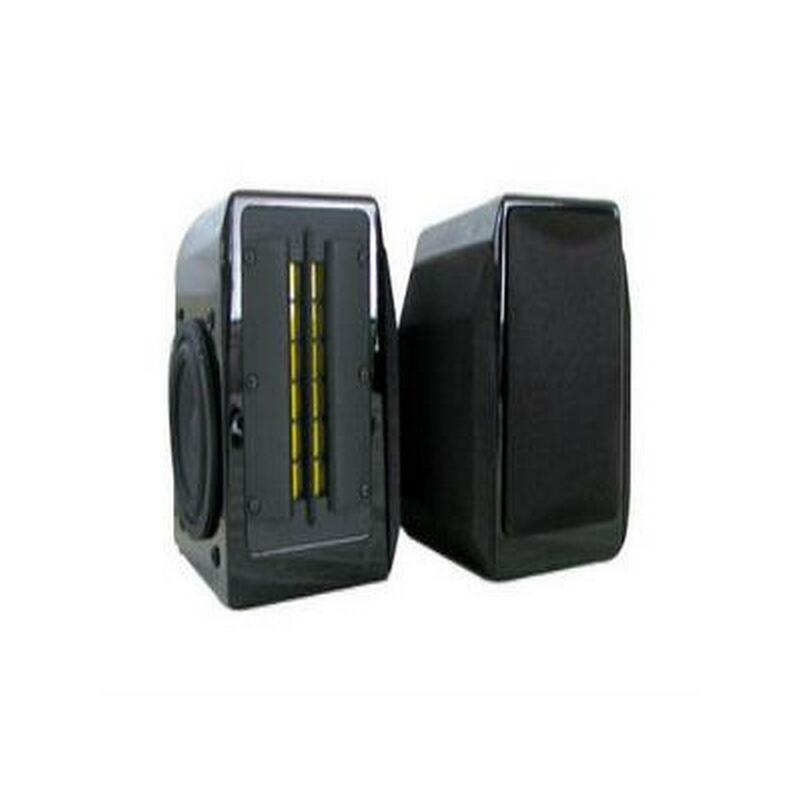 High Frequency Switch - The speakers have a three-position tweeter level switch to compensate for overly reflective or excessively damped room acoustics, so the speakers’ sound is never too dull or too "bright." 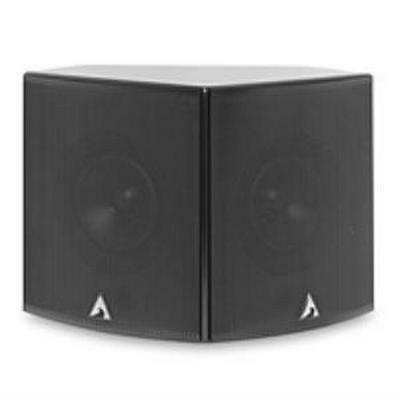 Boundary Compensation - Placing a center channel speaker directly on a large-screen TV, or installing a left/ right speaker in a bookshelf unit can cause a major buildup of lower midrange energy from what speaker engineers call "boundary effects." The result: voices and instruments can sound unnaturally thick and heavy. We developed a circuit that counteracts this problem. Activating the boundary compensation switch will return the lower midrange to its natural, uncolored state. 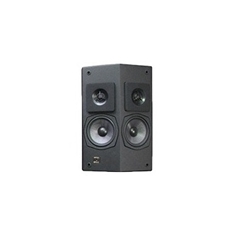 The HRS-SAT4BIP is the perfect timbre match to the HRS-SAT4 satellite speakers. 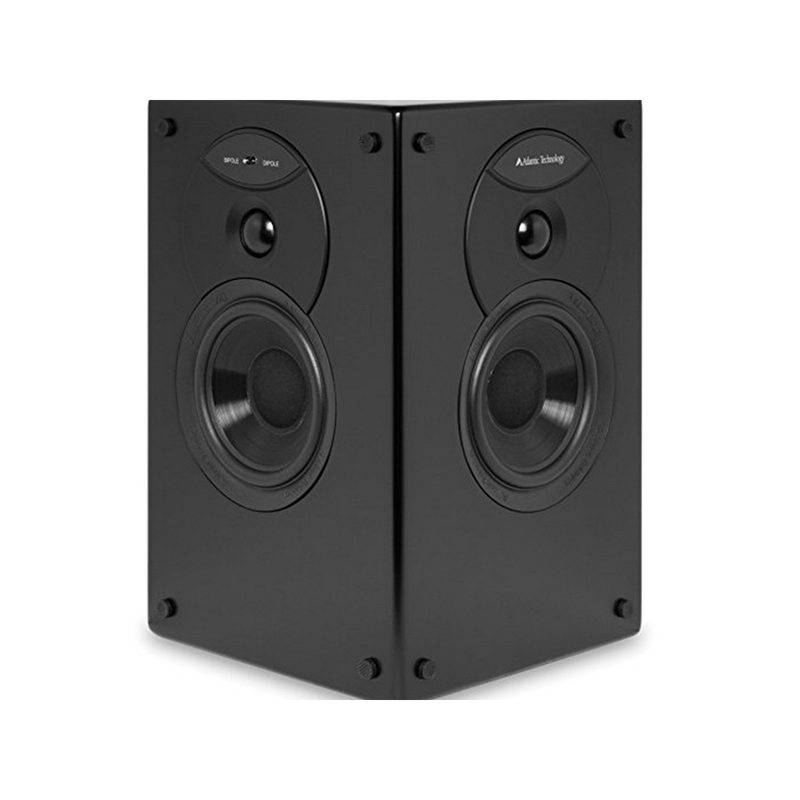 A purpose-built, on-wall surround speaker, the HRS-SAT4 BIP features dual ring-radiating, silk dome tweeters that are acoustically optimized to provide an enormous soundstage. 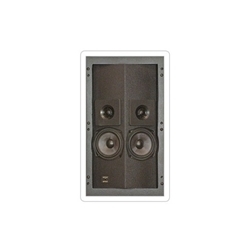 These tweeters are similar to those found in high-end European speakers costing many times more. 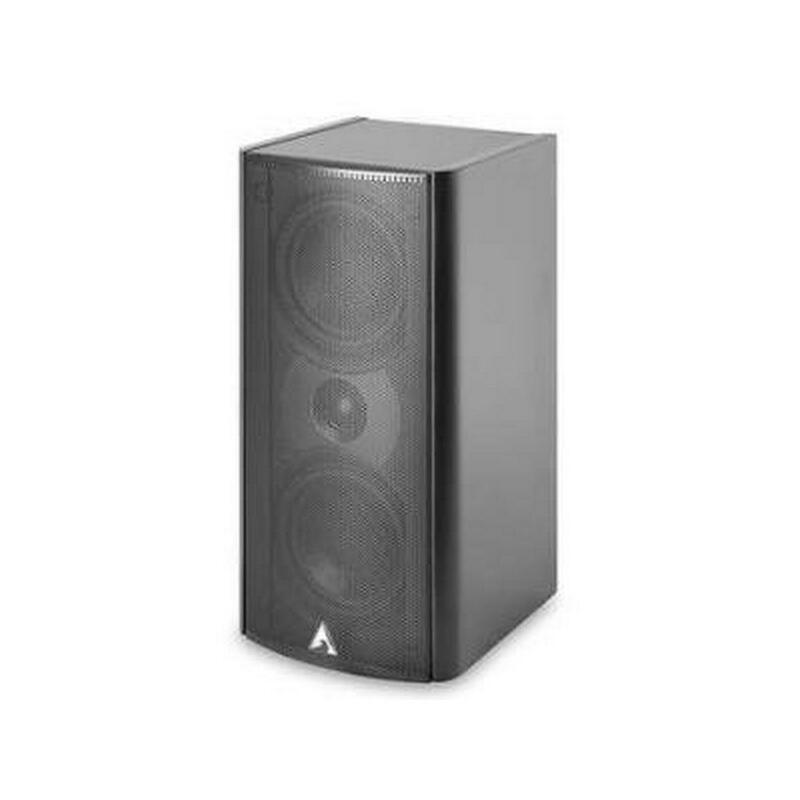 The low-profile cabinet’s curved sides are not only aesthetically rich, but make for a smoother wavelaunch and improved imaging compared traditional “box” speakers. A single 4.5" Kevlar woofer provides the dynamics need for today’s high-resolution sources, and features a one-of-a-kind "Trifilar" voice coil. This ultra lightweight, three-layer design delivers up to an 80% increase in output then compared to conventionally wound designs. The CRM-2BIP is the only on-wall ribbon bi-pole available today and features a long list of true, XT Series performance features. First, it’s a purpose-built, on-wall surround speaker that’s a perfect timbre match to any model in the existing Cinema Ribbon line. 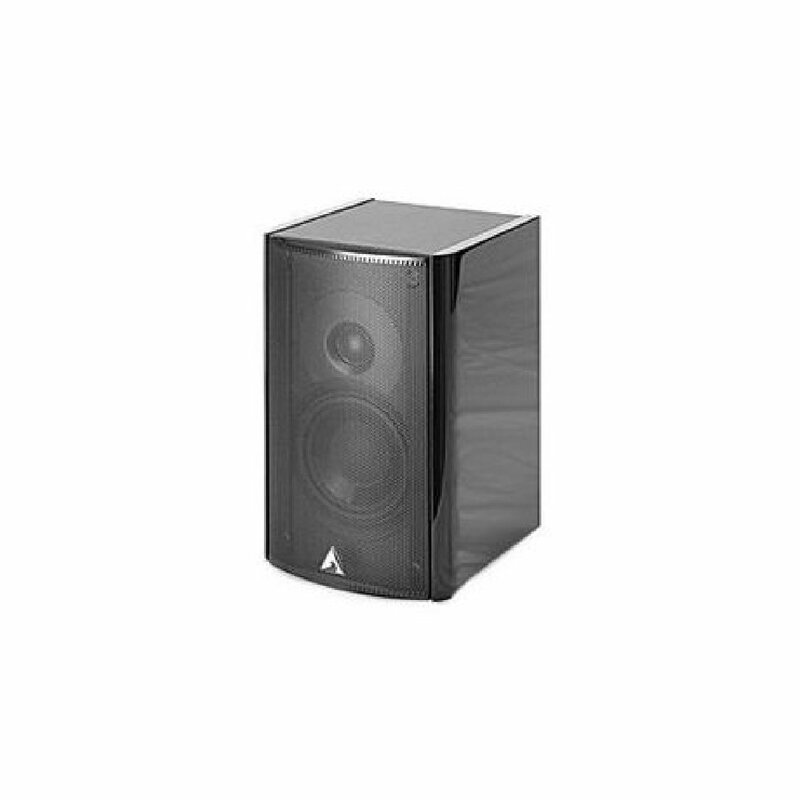 It’s also the only bi-pole speaker on the market to feature the benefits of dual, side-firing ribbons. At 400 watts per cabinet, the deliberate location of each pair of these high output ribbons create the wide “diffused” rear sound stage so important for today’s soundtracks and multi-channel music. This fact is made more remarkable when you consider the CRM-2BIP’s ultra-slim 3-5/8” deep profile. 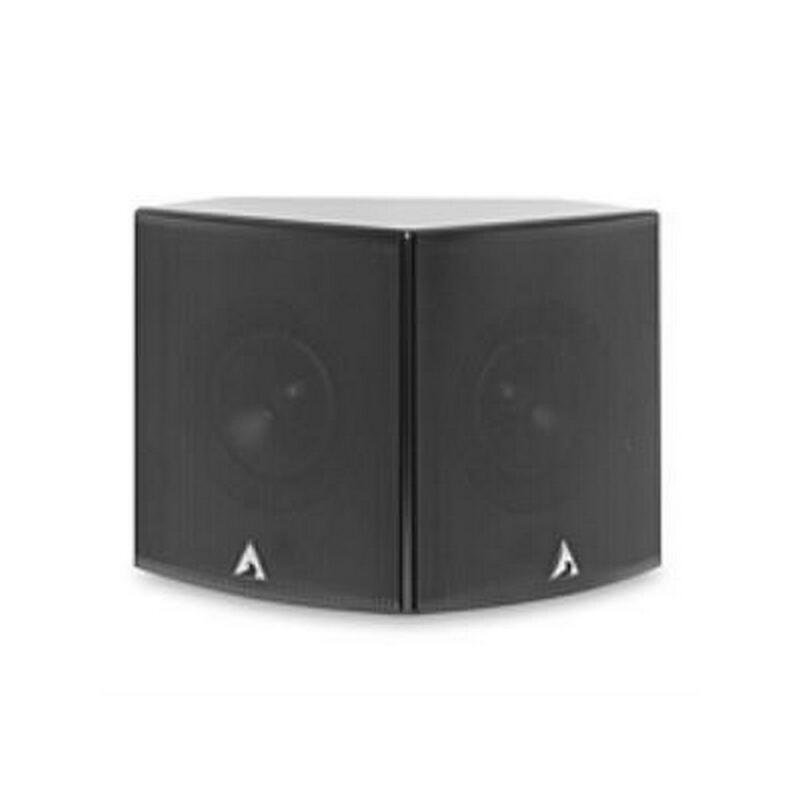 It’s one of the lowest profile on-wall surround speakers of any type; as much as 50% slimmer than any comparable speaker. 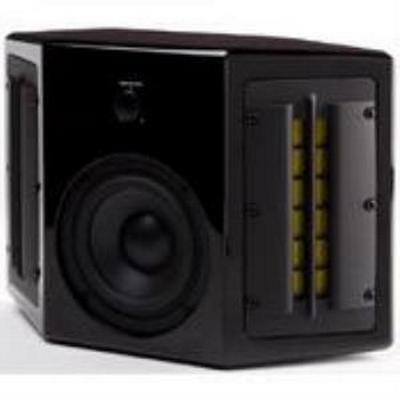 Add to all this a beautiful, piano-like finish; legendary High Back-emf woofers and simple, reliable installation and you have all the rationale you need to consider the CRM-2BIP for your home theater. The Trio line is purpose-built for on-wall mounting and matching to your flat panel video monitor. 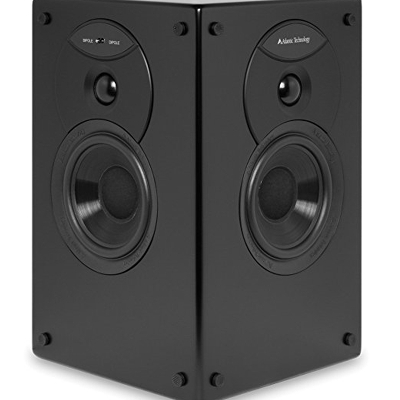 Their enhanced performance versus the Duo line is courtesy of one additional driver in the left and right channel speakers-and two additional drivers for the center channel. 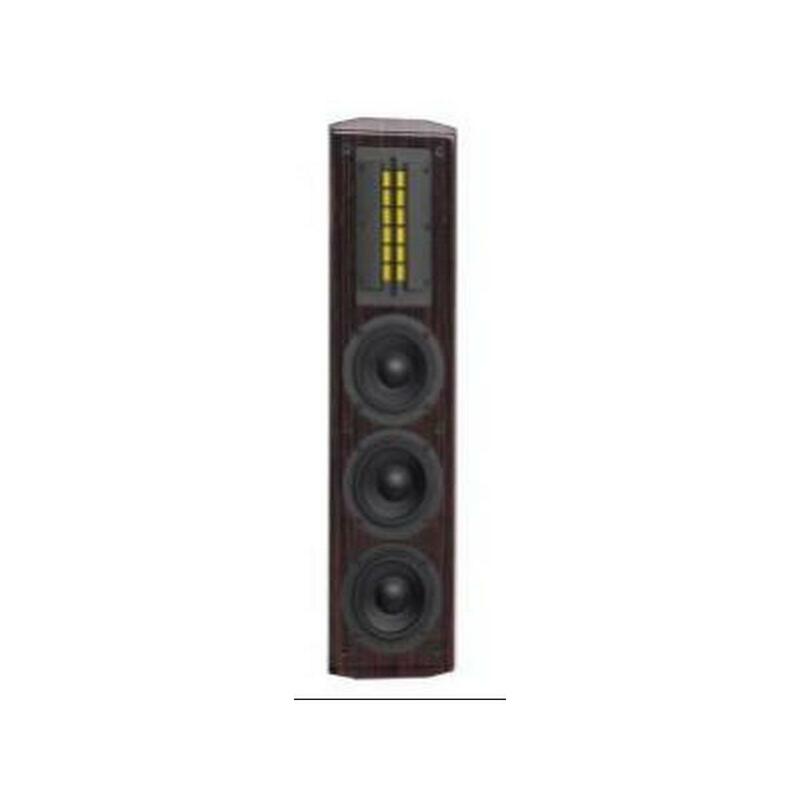 So whether you’re looking to complement that new LCD display or you’re building up a serious dedicated theater, the Cinema Ribbon Trio’s prodigious power, High Back-emf drivers and hand-lacquered rosewood veneer cabinets make them the singular choice for every serious Home Theater devotee. Sharing the same technology and craftsmanship as their larger CRW-3 siblings, the new CRW-2 loudspeakers feature fully sealed cabinets; legendary High Back-emf drivers; a high-output, high efficiency 6” ribbon tweeter; and gold-plated spring terminal binding posts.